Fleas can be a source of annoyance or even insufferable frustration depending on the magnitude of infestation in your home and your yard. Having pets and children raise the stakes even more as you strive to rid yourselves of these little bloodsuckers. Parasites, in every sense of the word, fleas can bring untold damage. Sadly, there is no quick way to get rid of fleas despite all the best flea fogger, warm washes, insecticides and repellants that you might use. Unlike, say, roaches which you can dispose of via insect sprays, fleas are much harder to reach and completely decimate. Many products may just diminish a population, but if you do not completely wipe fleas out or target their source, they’ll quickly spread again. Hence, in this article, we’ll look into a holistic approach to addressing your flea problems while also looking at the best flea fogger you can use in your home as well as the best way to use this tool. Here’s a quick look at the flea foggers that we’ll be considering as well as their features. How do Flea Foggers work? First things first, you’ll have to know that the application of flea foggers alone will have slim chances of resolving your flea problem. They are effective flea killers, but their efficacy will heavily depend on your overall method of flea control. Hence, will need to look at the steps and practices you can follow to address this parasitic problem completely. Moreover, using lime to kill fleas in your garden will help hinder these pests from entering your home. So, let’s start with what flea foggers are and how they work. Flea foggers often look like your typical bug spray in the familiar aerosol canister under such brands as Raid or Baygon. However, looks and activation are where their similarities end. Flea fogger manufacturers design these total release devices to release a pesticide mist into an entire room (or lawn) and blanket all surfaces to eliminate as much of the flea population as possible. This method of fogging is a reason why people also refer to flea foggers as flea bombs. 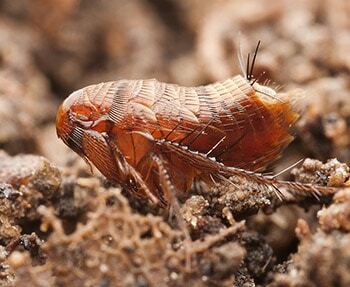 Generally, flea foggers use a variety or a combination of insecticides and Insect Growth Regulators (IGR) to target and kill insects at different stages of maturity. The most common insecticides that you’ll find in flea foggers are Permethrin, Cypermethrin, Tetramethrin, and other pyrethroids. Looking at the ingredients in your flea fogger, you’ll see some or a mix of these insecticides. The above insecticides usually target an insect’s exoskeleton as well as their nervous system which eventually causes death. IGRs, on the other hand, are not insecticides in that they kill fleas. Rather, IGRs such as methroprene or Nylar work in conjunction with the chemicals above to inhibit both flea growth and reproduction. In short: insecticides kill the fleas, while IGRs prevent them from reproducing or growing. Safety is paramount whenever you’re handling a toxic chemical. Hence before you do anything, remember always to read and follow the safety instruction on the manufacturer’s label or the product’s package. Also, don’t assume that one fogger’s instructions are identical to others as this may differ from one product to another. 1. Read the product’s instructions. 2. Always wear safety gear when handling or using foggers. You can never go wrong with a good respirator (Like this one from 3M) and safety glasses (like this, also from 3M). 3. Never use foggers on your pets. Foggers emit toxic chemicals that will be fatal to your pets. 4. Unplug and turn off all electrical appliances, including light bulbs, pilot lights, and gas ignition systems. Unless otherwise stated, the majority of foggers are highly flammable. Alternatively, you can turn off the electricity straight from your distribution board. 5. Use only one canister per room. For rooms smaller than 5-feet by 5-feet, just keep their door open, and the mist coming from a bigger adjacent room will suffice. 6. Never, ever inhale the contents of a fogger. 7. Ensure that everyone, including plants and pets (cats, dogs, birds) are outside the house at a safe distance for at least 3 to 8 hours during fogging. If you have pet fish, make sure you cover their aquariums completely – using saran wrap is a good option. 8. Consider any member of the family with asthma or other respiratory problems. You may need to stay out of the house and let the bug bomb air out a longer. 9. Cover all toiletries, consumables, food, eating utensils, and anything that comes into contact with your food. Better yet, take all these things out of the house during the fogging session. Time to Bomb the House! Before you shake that can and bug bomb the house, it’d be wise to make the proper preparations. Again, remember that even the best flea foggers are not panaceas. Only a holistic approach with good pre- and post- fogging practices will ensure the decimation of these pests. As I’ve already mentioned, you can also use lime to kill any flea population in your garden. Using lime will prevent the fleas, as well as you and your pets from bringing these pests in your home. Lastly, you should know that commitment and time is vital if you want good results from fogging your house. I say this because fogging may take several hours, even days (if you’re fogging the house twice or using products that leave residue for enhanced potency) before you can re-enter the home. Also, you may need to take some appliances out of the home since bug bombs work best when they are unobstructed. Determine the number of canisters you’ll need by calculating the square footage of your home as well as the number of rooms. Remember too that flea bombs differ in their total coverage. Shut all windows or any openings where the fogger’s mist may escape. You can further improve the effectiveness of the bug bomb by sealing windows with tape. Open cabinets and cupboards, but be selective in doing so if these cabinets contain plates or items that you’d rather not expose to chemicals or wash afterward. However, for full coverage, it would be wise to open all cabinets and drawers. Cover TVs, consoles, computers, and other similar devices that carry the risk of getting pesticide inside them. Vacuum carpets and floors to agitate pests. This method will make them more exposed to the fogger. Ensure that you’ve followed all the safety and preparation steps above. Plan your exit. You’ll need to leave the house immediately once you start the fogging process. Hence, if you’re using multiple foggers in different rooms, plan out which foggers to activate first. For example, you’ll want to enable foggers in the 2nd-floor rooms first before the ones below. Alternatively, you can have multiple people enabling different foggers for the smoothest exit. 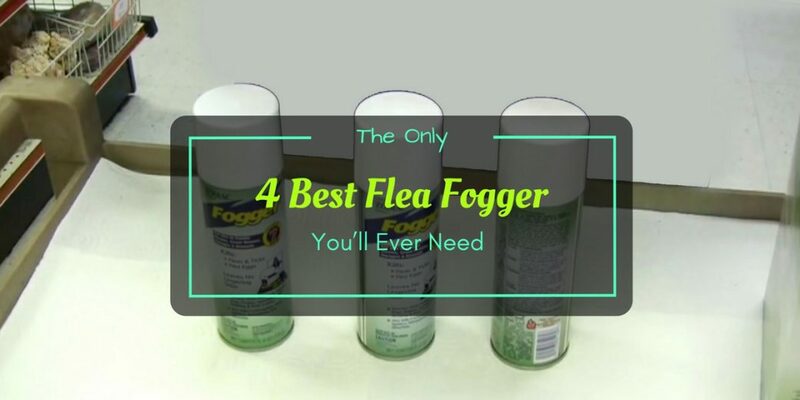 Place the flea fogger strategically in a room. The best place would be at a raised height at the center of a room. You can do this by placing the fogger on chair or table in the middle of the room. Lay a sheet of newspaper underneath the canister to absorb any leaks. Put on your safety gear. Remember that flea foggers spray upwards so remember to keep the fogger away from your person. Shake the canister vigorously then push the release valve firmly (until it clicks or clips) to activate the fogging process. Typically, complaints about foggers prematurely stopping are because many fail to push the release valve properly. After the recommended number of hours (typically from 2 to 8 hours, depending on product), enter your house with a respirator and open all the windows and doors to let all the rooms air out. You can make use of fans to speed this up. Wait another hour or two before letting people and pets in the house. Again, if you’re using pesticides that leave residue on surfaces (for full potency), you may have to wait longer to re-enter your house. Unless manufacturers state otherwise, clean and wipe all surfaces that came into contact with the pesticide. The Raid brand has earned the trust of many for its effective pesticide and insecticide products. This success is most likely why it’s one of the most recognized brands in the market. Unsurprisingly, the Raid brand continues to dominate its competitors on this list of the best flea fogger! One of its biggest advantages is its large coverage which is virtually double than the competition. A single purchase of the Raid Concentrated Deep Reach Fogger will give you three cans each holding 1.5 oz of pesticide. Then, a single canister can cover a room up to 25-feet by 25-feet with 8-foot ceiling or up to 5000 cu. ft – that’s around 625 sq. ft. of covered space! In addition to this fogger’s extensive coverage, you’ll also be able to target a wide variety of bugs and insects with it potent and concentrated formula that will penetrate cracks and crevices with a potency of up to 2 months! Naturally, the Raid Concentrated Deep Reach Fogger will only reach the places its mist lands on. Therefore, don’t expect it to kill the bugs underneath your couch unless you move the couch (and other furniture outside for the duration of the fogging. Lastly, if you’ll be using this product, you may want to enhance its efficiency by using a fogger or insecticide with a growth inhibitor or IGR. The Spectracide Bug Stop Indoor Fogger packs a mean punch with its powerful insecticide formula. Despite its potency, though, this Spectricade fogger will leave no stains or residue, so your curtains, sheets, and carpets will be safe. Also, you’ll be able to return home in just a few hours! For each canister of Spectracide Bug Stop Indoor Fogger, you’ll cover up to 2000 Cu. Ft of unobstructed space. This much space would mean a 15.5-feet by 16-feet room with an 8-foot ceiling. Moreover, one purchase will get you six canisters, so you’ll surely have a lot to spare or to use in a large house. Like its Raid competitor, the Spectracide Bug Stop Indoor Fogger’s formula can reach deep into cracks crevices as well as carpet fibers and will work in as fast as two hours! At three 1.2 oz. canisters, I was initially saddened that the Hot Shot No-Mess! Fogger gave me the least amount of pesticide formula especially after looking at the Spectracide and Raid options. Also, this Hot Shot fogger has the same coverage (2000 cu. ft. or a 15.5-feet by 16-feet room with an 8-foot ceiling) as the Spectracide option. However, what caught my eye and made this fogger a lot more attractive were several unique features. For one, the Hot Shot No-Mess! Fogger neutralizes odors, and it emits minimal, if any, smells. Moreover, this Fogger is pilot-light-safe which removes the need to turn off the pilot lights in your home. It may not seem much, but it usually takes a lot of work (even professional work) to find and turn these fixtures off. Lastly, I also noticed an additional active ingredient on the label of this fogger: Piperonyl butoxide. According to the National Pesticide Information Center at Oregon State, Piperonyl butoxide (PBO) is pesticide synergist. What this means is that although PBO in itself isn’t toxic to insects, it increases the effectivity of pesticides such as pyrethrins. Last on our list, although definitely not the least, is the Hartz UltraGuard Plus Home Fogger. Like our last two foggers, the Ultraguard plus covers around 2000 cu. ft. and a single pack purchase will get you three 2 oz. canisters. So, what, exactly, makes this fogger different from the last three we’ve seen? For one, the Ultraguard plus specifically targets fleas, flea eggs, flea larvae, ticks, and bed bugs! More importantly, this insecticide inhibits targeted pest infestation for up to 7 months! The Hartz Ultraguard plus accomplishes this feat via the IGRs that are present in its active ingredients while two pesticide synergists enhance its potency even more! Not as tested or well-known like other more popular brands.